It is with much appreciation that I announce to our readers that we are officially back from our candidate filing period hiatus. Due to some of our new partnerships that we have made a lot of candidates are now working with us for this November election especially after the success we had in June with Linda Lindholm, Eric Woolery, Tony Rackauckas, Ira Glasky, Robert Ming, etc… Now that candidate filing has closed we will have the time to start updating the blog more frequently. One item that I just noticed while catching up on news was the story of the city Ethics Commission in Los Angeles recommending a lottery in which $1,000 cash prizes will be offered to people as an incentive for voting. This comes as a result of extremely low voter turnout in the last city council election. I find this to be an absolutely horrendous idea with a number of potential negative results. The biggest problem with this is the potential for more uninformed voters turning out simply to earn a shot at $1,000 without researching the candidates. 1) Update who is on the active voter rolls. Orange County had their voter roll shrink by 17% this last year during a large-scale update. 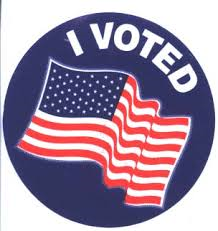 By shrinking the active voter rolls it will give a more accurate picture of voter turnout. 2) Consolidate the election with the Gubernatorial and Presidential elections. By having an election in an odd year fewer people will be motivated to turn out thus driving down voter turnout. If the elections are consolidated with the June Primary and November General Election in even years, turnout will see an increase. I find voting to be a civic duty and am appalled by the idea of offering cash prizes to get people out to vote. One final gripe I have is about why the LA Ethics Commission has anything to say about this. What does voter turnout have to do with ethics? We now move on to the race for Lieutenant Governor which will see former California Republican Party Chairman Ron Nehring take on sitting Lieutenant Governor Gavin Newsom in the November run-off. The June election was between eight candidates and unfortunately for Republicans Gavin Newsom is teetering close to 50% of the vote despite having one other Democrat on the ballot (ballots are not completely finished being counted). Nehring is not one of the Republican candidates that I would say is in great position going forward. Newsom is likely going to campaign extremely hard in order to show strength for 2018 where it is rumored that he might take on Attorney General Kamala Harris for Governor. Newsom did not come anywhere close to the numbers that Jerry Brown had in spite of the fact that Brown faced more opponents and had two better funded challengers. I am going to vote for Ron Nehring for the good of the Republican Party and because I think he would make a much better Lieutenant Governor than Gavin Newsom. However, this particular seat will be an uphill battle unless Nehring can raise a lot of money going forward. A Los Angeles County Superior Court Judge ruled earlier today that teacher tenure is unconstitutional. We will have a deeper analysis of this ruling later today. H/T to the Sacramento Bee for posting this story. In my effort to keep our readership happy and provide some interesting content on the blog while we all wait for the filing period for the November General Election to commence, I will be giving an analysis of each race (not including races with a Custom Campaigns client in it) detailing what happened. Each race will be analyzed with an Orange County perspective in mind. I will be waiting a few weeks on my analysis of the race for California State Controller because the race is ridiculously close between 2nd-4th place and I want to know for sure who is advancing before I analyze this one. On a side note Chris Nguyen has informed me that he will be doing his analysis of different races with heads on the map (he did these in 2012). Looking at results from the different cities in Orange County Neel Kashkari managed to finish ahead of Donnelly in all but one city. I was shocked to see that the city Tim Donnelly finished ahead of Neel Kashkari in was Santa Ana of all places by a margin of over 500 vote (vote counting is not quite over yet). Statewide though Jerry Brown dominated most counties however it was Tim Donnelly and not Neel Kashkari that pulled off a win in a couple of counties (Modoc & Lassen). Here is a map from the Secretary of States website that shows the winners by county. Jerry Brown is clearly waiting for November with his campaign spending less than $100,000 in June. At the end of the day numbers don’t lie and Jerry Brown is in a very strong position going forward to November. 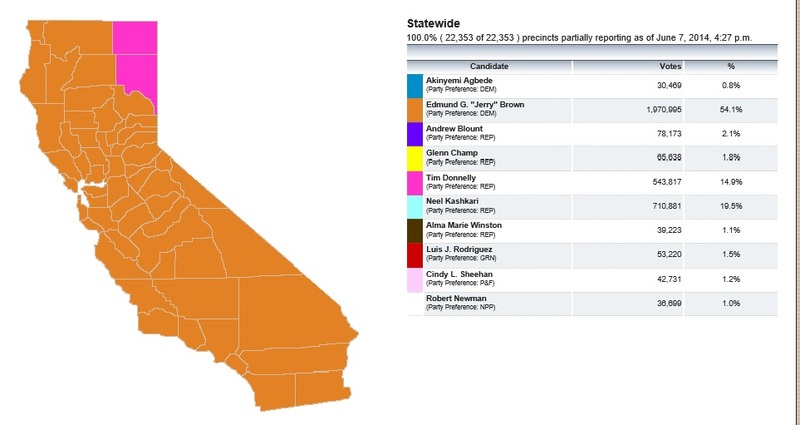 Despite low Democratic turnout Brown managed to capture over 50% of the vote statewide. Kashkari is going to be attacked by Jerry Brown in messaging to conservatives (who already were likely in the Donnelly camp) that Kashkari voted for Obama and ran TARP (Troubled Asset Relief Program). With increased voter turnout in November for Democrats and the possibility of some conservative voters sitting out this race Jerry Brown is at a definite advantage going into the November election. Financially Brown has over $20,000,000 cash on hand while Kashkari has just $1,400,000 which is a substantial deficit to start things off. I am not going to make a prediction on this race though because Neel Kashkari did run a much stronger campaign than Donnelly and despite facing tough odds against Jerry Brown the CRP has been a bit revitalized with Jim Brulte doing an excellent job since taking over. I look forward to seeing Kashkari run a much stronger and more competent campaign than Meg Whitman did in 2010 (he can start by keeping the axe off of future mailers). 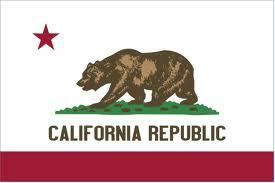 Half of Californians deemed likely to vote in the primary supported Brown’s reelection. 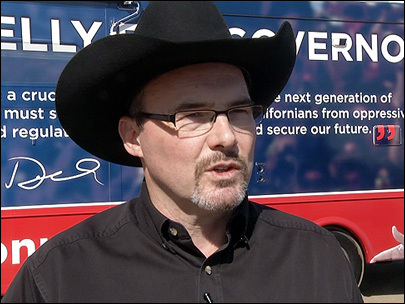 Among his chief challengers, both Republicans, Neel Kashkari was far behind at 18% and Tim Donnelly trailed at 13%. The difference between the two vying for the second slot in the general election was within the poll’s margin of error. The results showing Jerry Brown at over 50% are not surprising since incumbency is still of some value and Kashkari and Donnelly have been targeting each other more than Brown based on mailers and individual appearances at events. Despite the fact that Donnelly currently trails Kashkari by 5% of the vote in the most recent poll I believe that the race may be closer than some may expect. Voter turnout is extremely low at this point and I project based on the fact that as of 6-2-2014 only 156,741 out of 743,454 (21%) of absentee ballots have been returned we are going to have a lower turnout than most people are expecting. This low turnout will benefit Donnelly more than Kashkari because Donnelly has a conservative voting base that is more likely to mail in an absentee ballot or vote at the polls. At this point I would say that Kashkari is definitely the front-runner but I believe the race for second place will be a nail biter. The higher the turn out on election day the worse off Donnelly is. It is getting worse, Chris Nguyen is likely going to come after me with the butcher knife from the Emanuel Patrascu mailer. Here is my take on the 74th Assembly District race which is open due to Assemblyman Allan Mansoor making an ill-advised run for the 2nd Supervisorial District against Michelle Steel. I have had numerous Democrats call me accusing Republicans of planting Karina Onofre in this race as a Democrat to try and embarrass the Democratic Party. Onofre is a former candidate for Santa Ana City Council. Let’s take a look at her electoral history. Onofre has major issues with turning her campaign finance reports in on time and has very little money raised ($5,000 raised as of the last report) and I am not considering her $100,000 loan a factor unless she actually starts to spend it. Normally I would say that the Democrat usually would have an excellent shot of advancing to November but Onofre will be splitting votes with fellow Democrat Anila Ali. This leads me to believe that due to Democratic registration being low that with a vote split Onofre and Ali will finish in the last place slots this June. Nevertheless, Onofre has made this election a lot of fun. Check out these posts from Scott Carpenter; Prepare to be Entertained: The AD 74 “Feet to the Fire” Candidate Forum and AD74 Watch: Karina Onofre Channels Napoleon Dynamite. Curry has been on the ballot multiple times in Newport Beach with a very successful track record in getting elected. Let’s take a brief look at his electoral history. With the amount of money that he has spent on voter contact it is a safe bet that Curry will be advancing to November. I will give Emanuel Patrascu credit because he has run an excellent campaign so far. He picked an excellent ballot designation and he has spent his money wisely on direct mail. Patrascu has run for office before in Laguna Beach. Let’s take a brief look at her electoral history. Patrascu is in a dead heat with Matt Harper for the second place slot and I will give my reasoning for this later in this post. Matthew Harper is considered the conservative darling in this race by many due to his years of activism in the Republican Party of Orange County. It appears that both Keith Curry and Emanuel Patrascu are ignoring him with most of their negative mail being focused on each other. Harper has more name ID than both Curry and Patrascu but his fundraising numbers have been anemic at best. He has raised just $22,000 and again I am including his personal loan because he has spent it. This is a pretty large fundraising gap between himself and Patrascu. With this fundraising gap in place it is a safe bet that Harper will likely not appear on any direct mail although he is on a decent amount of slate mailers including the always popular and effective Landslide Communications slate mailers. The biggest concern I have is that the Curry campaign has not hit him yet and this is a bad sign considering Curry has paid for polling data in this race. In spite of my concerns I still consider Harper to be in a dead heat with Patrascu and I will explain why at the end of this post. In any normal election I would predict the Democrat to consolidate enough support to advance to November but Ali is likely going to lose because Karina Onofre is also running as a Democrat. Ali has never run for office before and has no name ID in this district. She has raised $39,000 which is more than both Onofre and Harper but I just don’t think it is enough to overcome both Onofre and the Democratic registration disadvantage. Based on the high turnout from Huntington Beach I am giving Harper a fighting chance to advance to November although I am still leaning towards Patrascu.